Well, what can we say, a rare sunny day in March and we were headed through to Rosyth for a Rolling Road day at Sitech Racing, organised by a few folk on Facebook from the RS/ST owners clubs. We were up early and headed though to meet a couple of others at Eurocentral, then headed onwards to Sitech. We arrived fairly early and already the street was filling up with RS’s and ST’s on both sides, most of which getting washed and cleaned. The cars slowly but surely started taking their turns on the rollers, producing various different figures, we took a picture of the power board, although it spend more time being blown over than it did being filled in! All in, it was a great day out, some lovely cars, and the guys at Sitech were great all day long, offering advice aswell as doing the power runs, Its definitely somewhere we will be visiting again! 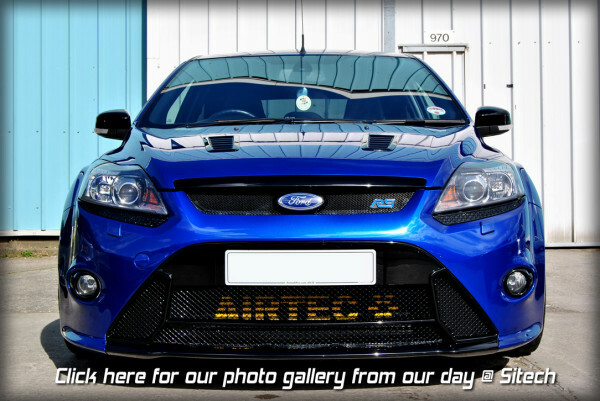 Pictures from the day can be found on our Facebook page, by clicking the image above, Enjoy! 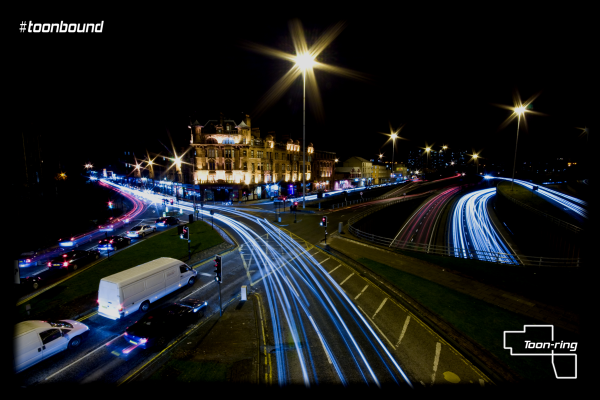 We have it on good authority that @GlasgowCPolice Are due to have a crackdown on drivers in town after yet more noise complaints from local hotels, This could include things such as, Random spot checks, Speed Traps, Temporary Speedbumps, Road Closures and generally an increased presence from the road traffic division. So this is us giving you all a heads up, As long as you have nothing to hide, you have no reason for concern! Watch your speed, wear your seatbelt, check your lights & tyres, and generally behave.. Noone wants points and/or fines! Police unveil new Mclaren, 0-60 in 3 Seconds! Criminals might have to think again about attempting a getaway after police revealed their newest and fastest police car – a 207mph McLaren worth £240,000. The specially adapted two-seater supercar – which can hit 60mph in three seconds – will be unveiled at a car show in Birmingham this weekend. Although it is not practical as an everyday patrol vehicle, officers from the Central Motorway Group in the Midlands hope it will help to break down barriers between police and motorists. 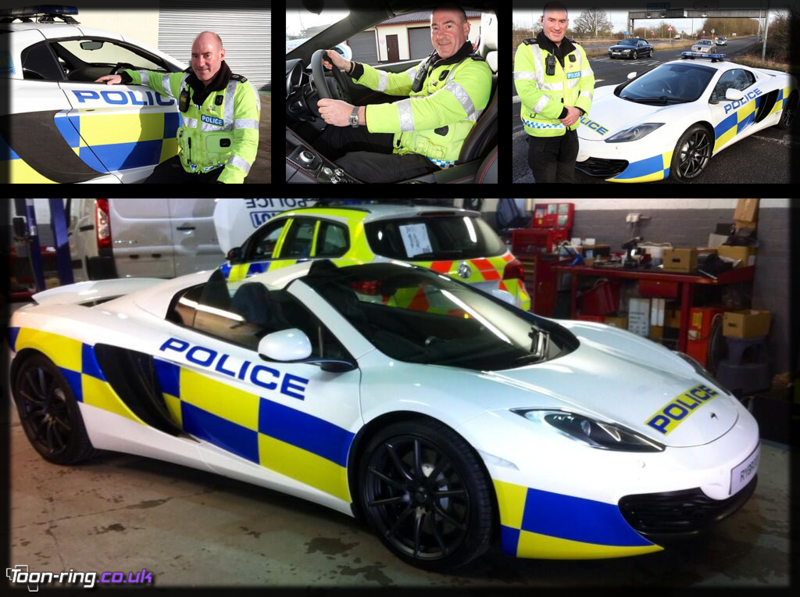 PC Angus Nairn – currently starring in the ‘Motorway Cops’ real-life TV shows – said: ‘Everyone who see the McLaren wants to come and talk about it – it is an excellent way to get people to have a conversation with the police – and not end up with a fixed penalty ticket. ‘The car breaks the ice and gives us the opportunity to get across the safety message – especially about the dangers of excess speed. The police-liveried car will be at the Autosports Show at the NEC in Birmingham this weekend before it goes back in the showroom. The car was supplied by local McLaren dealers and sales director David Tibbett said: ‘We are delighted to help the police and their work. ‘The police-liveried McLaren has some extras on and would cost around £240,000. The car – a Spider 12C model – is powered by a 3.8 litre twin turbo engine which develops almost 600 bhp – six times the power of a standard Fiord Fiesta. But the makers claim it still returns 25 miles to the gallon – providing it’s not driven flat out at its top speed of 207mph. England hero David Beckham has just taken delivery of a similar model to use in the USA. 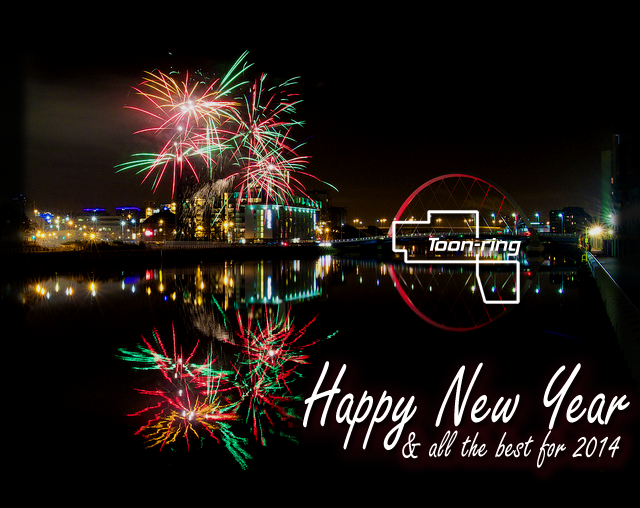 Hope you all have a great New Year, we’ll see you all in 2014!